Deep in the annals of show business are countless dirty jokes and ribald tales of a “designated virgin.” It is a legacy rooted in American history — although the ploy itself may be as old as the dramatic arts. Some insiders believe that a variation of the tactic is going on today. When New York theatrical producers of the mid-1800s first began sending out their hit plays on tour, traveling companies would often find themselves being challenged by local defenders of “community standards.” Provincial sheriffs and self-righteous justices of the peace would meet their trains and caravans carrying shotguns, determined to halt the spread of unapproved entertainments. A savvy troupe manager might counter by sending out his most innocent-looking young flirt to meet and disarm the opposition. This became known in actors’ camps as “the designated virgin” gambit. In the first decade of the 20th century a new form of traveling theater spread like a prairie fire through the land. It was a “poor man’s theater” known as motion pictures. By 1910 there were 8,000 storefront nickelodeons on main streets across America, all of them showing programs of short films produced mainly in New York or Chicago. These motion pictures were being consumed by some 25 million people each week, and there was nothing any provincial sheriff could do to stop them. To upright Edwardian ladies and gentlemen the flickering images of kissing couples and saloon gals and train robbers only glorified vice, alcohol and illicit sexuality. They appeared as nothing less than glimpses of an approaching Bacchanalia. Moral crusaders joined with reformers, politicians, editorial writers and clergymen to oppose the barbarians at their gates. New York City was the center of motion picture production in America. The first film studios there were like the “garage bands” of their day. Instead of electrified instruments they dealt in electrifying images. Broadway actors performing under assumed names, slumming stage directors, vaudeville players, self-styled inventors and countless hopefuls were attracted to the new entertainment miracle. Before 1910 the dedicated artists among them toiled out of sight in brownstone garrets with limited resources. They met the clamor for more filmed stories by borrowng ideas from plays and novels and magazines. Often what they produced was more innocuous than salacious. But what they reflected was a diverse society and a wider world brimming with love, ambition, heartbreak and injustice. Never had a threat to the status quo arrived with such force and fanfare. America’s elites fought back with editorials and regulations and the imposition of new laws. Before the Christmas holiday of 1908, New York City Mayor George B. McClellan bowed to pressure by revoking the business licenses of all the nickelodeons in Manhattan. Of course, there is one critical thing one should keep in mind when staking everything on a better future: Never choose a “designated virgin” … with a past. 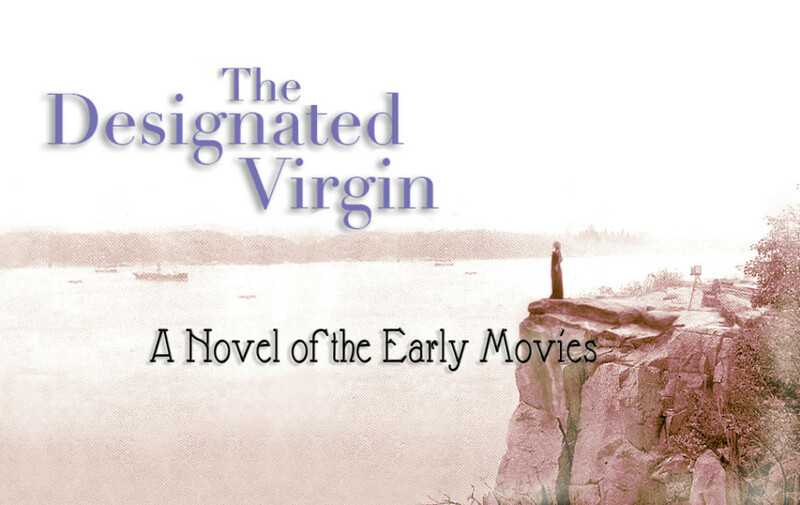 Watch for “The Designated Virgin: A Novel of the Early Movies” by John W. Harding, coming soon to your preferred book provider.